uPVC Conservatories now with £5000 worth of free Solar Glass! We are South Coast Windows and Home Improvements, a family-run company with over 40 years’ experience in the industry. 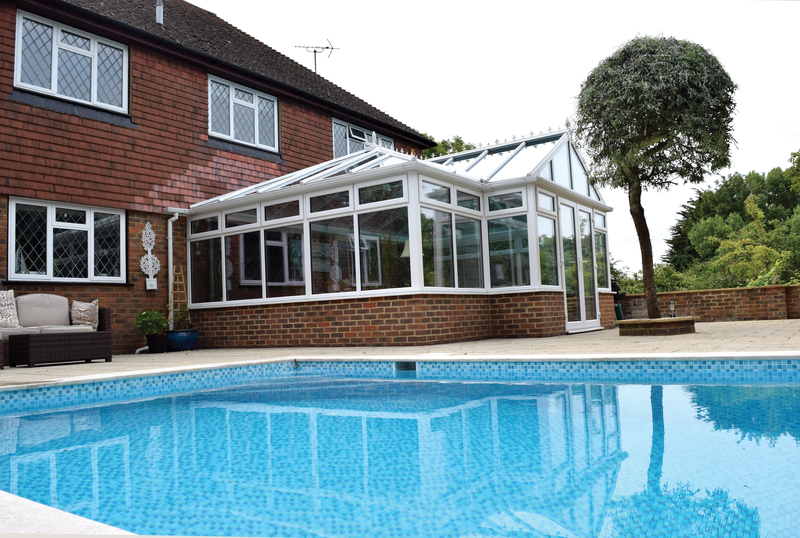 We professionally install uPVC conservatories throughout East and West Sussex. Get £5000 worth of FREE solar control roof glass on all new conservatories*. Plus: Buy one get one free on all windows and doors*. Take advantage of free base work when purchasing a fully installed conservatory. Review the different styles of conservatory design. We offer free delivery on all orders over £1000+vat within a 20 mile radius of our showroom. Southcoast Windows always strive for perfection. uPVC Conservatories can really add value to a home, both financially and from a personal space perspective. If you enjoy your garden, then you can relax in the dry during winter and enjoy the sunshine in summer months. A conservatory also creates space and can be used as an additional room for dining, relaxing or even working. 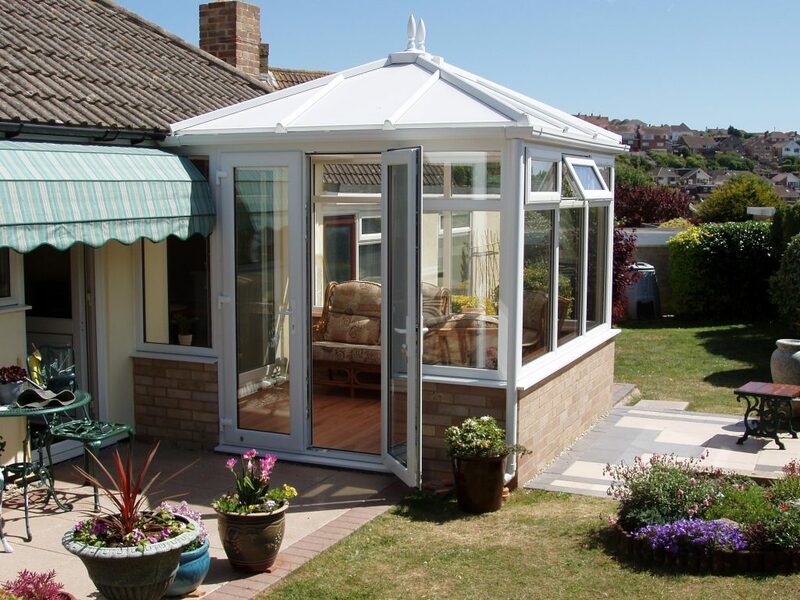 There are so many conservatory designs and styles to suit a wide range of homes and gardens. The benefit is that the extra space created can be used throughout the year. The conservatories range South Coast Windows provide come complete with either multi-walled polycarbonate or self-cleaning insulated glass depending on the design purchased and your preference. We provide a wide range of designs and styles to suit different budgets and homes from the Gable end design, through to P-Shape Conservatories. Below are just some designs and styles we provide. UPVC conservatories are one of the best ways to add value to your home, both by adding extra space and increasing financial worth. If you want to add an extra room onto your home, one of our UPVC conservatories could be just what you’ve been looking for. UPVC is a strong, durable, and reliable material that is an extremely popular choice for conservatories. UPVC is proven to provide homes and conservatories with excellent weather-resistance and durability, all with the need of very little maintenance. UPVC is also a material that is great value for money, while providing fantastic insulation, energy-efficiency, and security even in the harshest weather conditions. Here at South Coast Windows we sell a variety of UPVC conservatories to ensure our customers receive only the most secure, durable, and high-quality products. Find out more about the different conservatory types we sell and install and discover for yourself the unique characteristics they bring. A square shape with clean lines and a series of small windows around the top of the conservatory, the Edwardian conservatory is a popular choice for many homeowners and a great way to increase the value and size of your property. Ideal for homes with large families and homeowners who enjoy hosting, the UPVC Edwardian conservatories we sell are ideal for you. The Gable End conservatory looks like an extra room added onto your property that extends out into the garden, soaking up all the sunlight through its many windows. A beautiful addition to any property, the Gable End conservatory is a popular choice and can be seamlessly fitted onto most home types. This conservatory choice lets in more light, increases the space in your home, and adds significant value to your property. Easily fitted onto the gable end of your property, the gable end conservatory is a strong and long-lasting solution that will be useable for many years to come. Attached to the side of your home or garage, a lean-to looks like a conservatory on the side of your house. Long and slim, the lean-to lets in plenty of light while also providing you with the extra space you need. If you have a limited budget but you want to add a conservatory onto your property, the lean-to could be just the right solution for you. Easily fitted onto most conservatory types, the lean-to is a simple and effective solution to your space problem and can also increase the value of your home significantly. Our most affordable conservatory option, the lean-to is an option that will not break the budget. Orangeries are a beautifully traditional choice; the orangery lets in plenty of natural light to your home. Predominantly made from glass, an orangery features a little brickwork around the foundation, a flat-roof extension, large glass windows, and a roof light to let in plenty of summer sunshine. A beautiful combination of the luxury and the traditional, orangeries are the perfect choice for the majority of homeowners and would be more than suitable for your home and requirements. Commonly coming in an Edwardian or Victorian style, the top part of the t-shaped conservatory usually attaches to the house, with the large section extending into the garden. The t-shaped conservatory is a large conservatory choice and typically requires more space than most. Better suited to larger properties looking to extend their living spaces for more family members, the t-shaped conservatory allows you to enjoy extra space with plenty of daylight, whatever the weather! 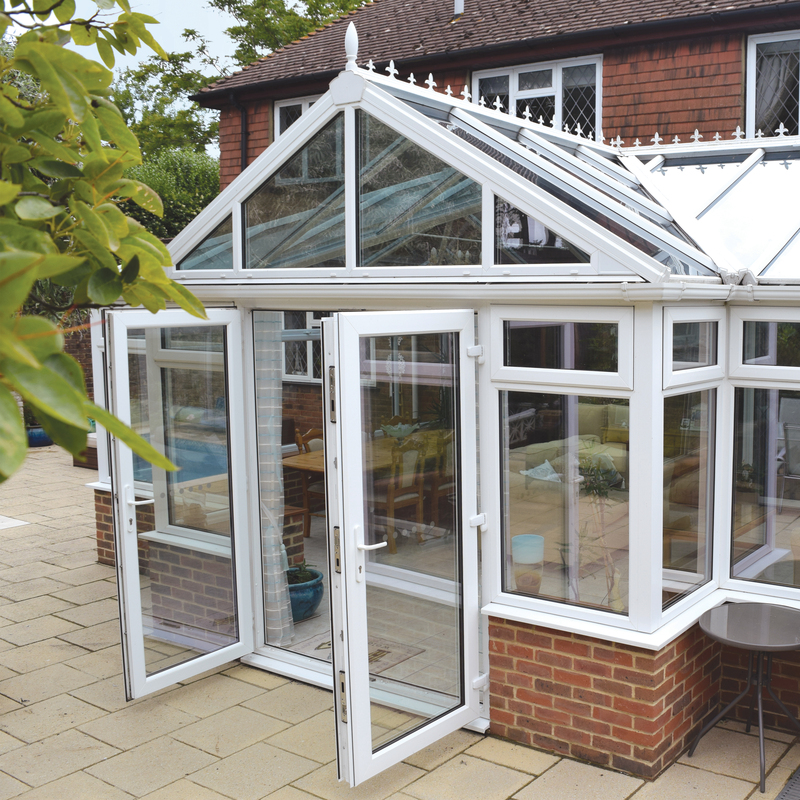 Similar to the t-shaped conservatory, the p-shaped conservatory is built in the shape of a ‘p’ and is a popular choice for many homeowners. Ideal for larger properties, the p-shaped conservatory combines the Edwardian with the Victorian conservatory style and is perfect for extending available space, while staying in proportion with your property. The P section of the p-shaped conservatory is commonly used as a dining room or living area, while the longer section is used as a play area for larger families. 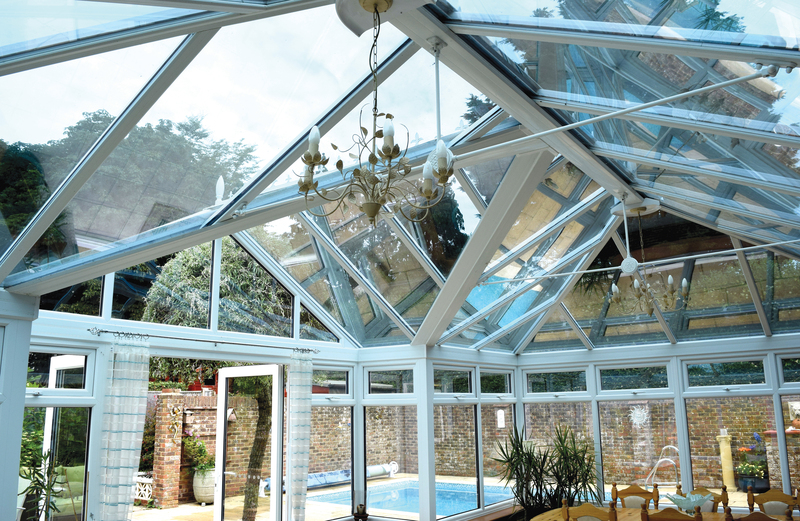 Energy-efficient, aesthetically-pleasing, and secure, the p-shaped conservatory could be the right choice for your home. The Victorian conservatory is, without a doubt, the most popular and common conservatory style there is. The reason for this is because it suits such a broad range of property styles and builds. Whether new-build or decades old, a Victorian conservatory would suit your home. The Victorian conservatory has a bayfront, a steeply pitched roof, and a range of beautiful ridge details. And because our Victorian conservatories are made from modern materials such as aluminium and UPVC, they are built to last. 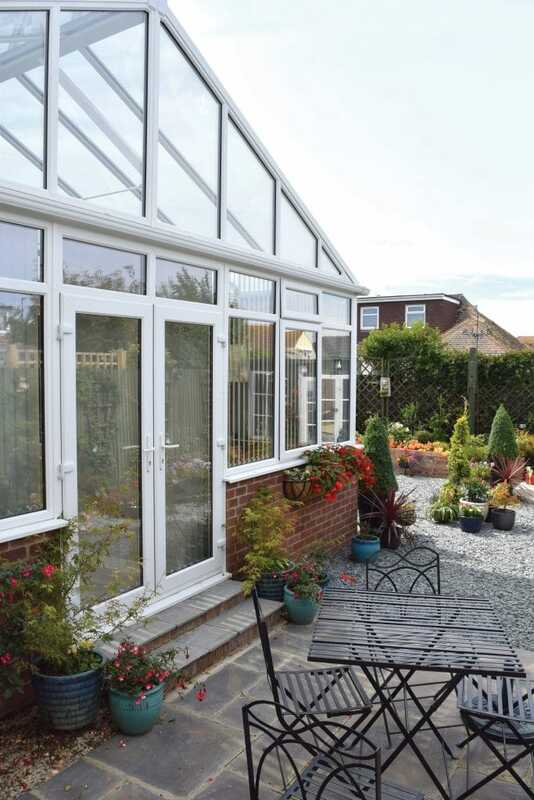 The Victorian conservatories we sell and install, here at South Coast Windows, are a beautiful and traditional conservatory choice and a very popular choice. If you would like a more traditional conservatory style for your home, our Victorian conservatories are a great solution and could be just what you’ve been looking for. When a conservatory is installed in your home, you want it to be secure and strong. That’s why we provide conservatory roofing systems. 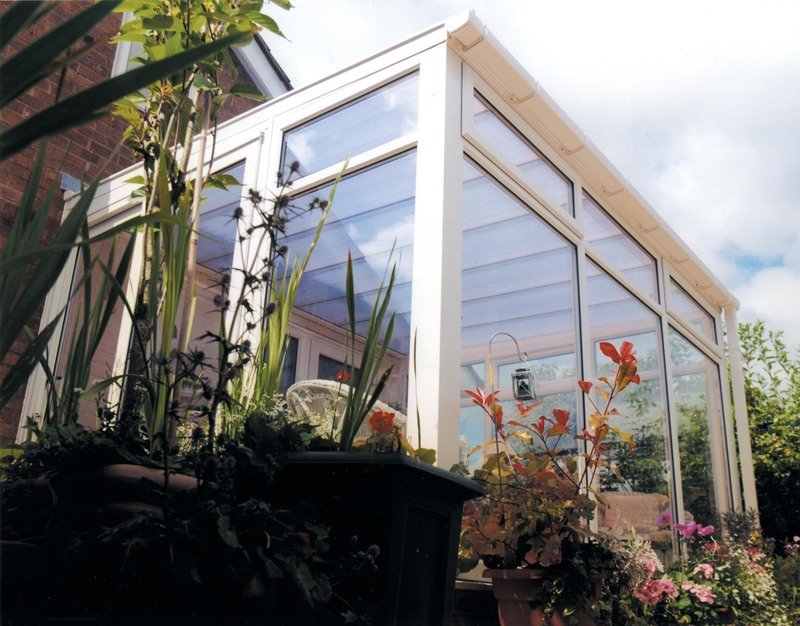 We know that your conservatory’s guttering needs to be protected from the elements in addition to protecting the house it is attached to. That’s why all our conservatories are available with roofing systems like vents, box gutters, and guttering. The base of your conservatory is just as important as the rest of the structure as not only does it add to the appearance of your conservatory, it increases the durability and security of your home. Here at South Coast Windows we can incorporate strong brickwork within our designs and offer free base work with any fully installed conservatory purchase. 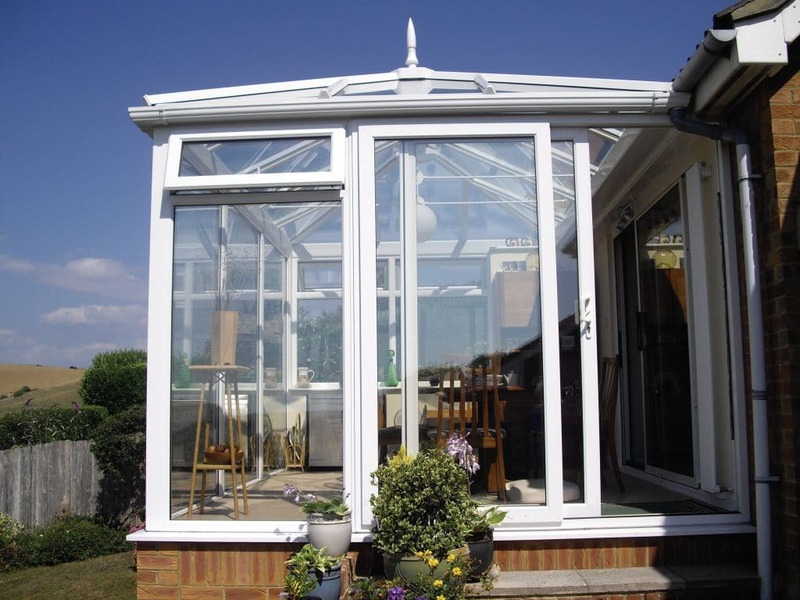 Our conservatories have long-lasting and secure conservatory bases that are specifically made to last for many years to come. Do you want a conservatory installed? Are you looking for UPVC conservatories available in a wide variety of designs and styles? Our team here at South Coast Windows have you covered. 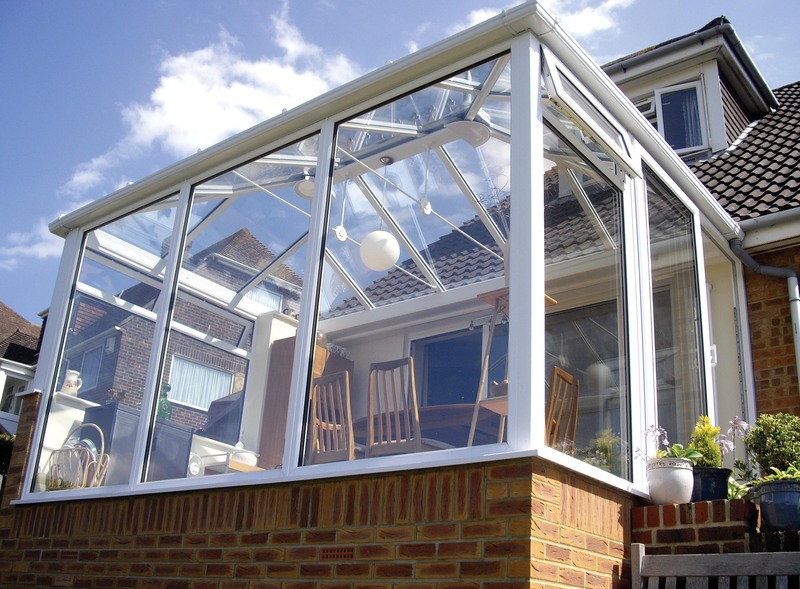 We would be more than happy to discuss your conservatory requirements with you, just give us a call. Alternatively, if you’d like to find out more about conservatories, read our article on conservatories and why they’re a good investment. Because there is nothing quite like a brand new UPVC conservatory.